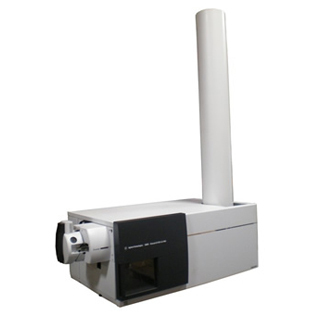 Available from KRSS a used fully refurbished and serviced Agilent 6550 iFunnel Accurate Mass Quadrupole Time-of-flight (Q-Tof) LC/MS (G6550AA). Incorporating breakthrough Agilent iFunnel technology, the Agilent 6550 iFunnel Q-TOF LC/MS system delivers the lowest detection levels of any high resolution LC/MS instrument. For the fi rst time ever, you can achieve low femtogram-level sensitivity with high resolution and accurate-mass - making the 6550 iFunnel Q-TOF the ideal choice for pharmaceutical, metabolite ID, discovery proteomics, metabolomics, food safety, forensics, toxicology, and environmental screening applications. Agilent Ion Beam Compression and Shaping (IBCS) technology provides the greatest sensitivity while maintaining 40k mass resolution and sub 1-ppm mass accuracy. Enhanced electronics and software algorithms enable exceedingly high data acquisition rates of up to 50 spectra/second for ultra-fast UHPLC separations with the Agilent 1290 Infi nity LC and for maximum sampling during data-dependent MS/MS experiments. Agilent’s proprietary iFunnel technology combines the high-effi ciency ESI ion generation and focusing of Agilent Jet Stream sample introduction with unique hexabore sampling capillary and dual stage ion funnel assemblies. This innovative technology demonstrates double-digit increases in sensitivity compared to older instruments. Agilent iFunnel technology provides a level of robustness unmatched in the industry by combining true orthogonal electrospray orientation with a heated, off-axis funnel geometry to prevent transmission of uncharged species. Agilent Jet Stream thermal gradient focusing - A precisely micro-machined sprayer surrounds ESI droplets with a sheath of superheated gas to desolvate and concentrate ions near the MS inlet for more effective sampling. Hexabore sampling capillary - Six independent, parallel bores enable a much larger fraction of the ions formed in the ESI spray plume to enter the mass spectrometer. Dual-stage ion funnel - Novel design facilitates increased ion transfer to Q1 while evacuating the higher gas load.